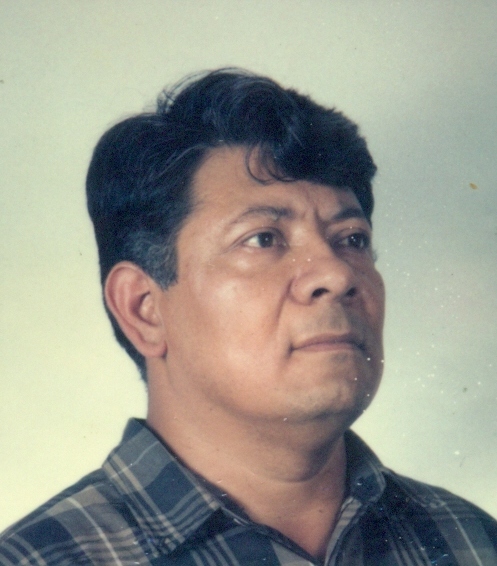 Steve Resendiz Rios, 72, of Bryan passed away Tuesday, February 5, 2019. Funeral Service is set for 11AM Saturday, February 9 in Santa Teresa Catholic Church. Father Cesar Jamie Guzman Diaz will officiate and burial will follow in the Bryan City Cemetery. Visitation will be from 5-8PM Friday, February 8 with a 6PM Rosary in the Chapel of Trevino-Smith Funeral Home. Born October 12, 1946 in Ticui Gerrero, Mexico he was the son of Felipe and Angela (Resendiz) Rios. Steve enjoyed gardening and computers. He was a loving husband, father and brother and will be missed deeply by all who knew him. Steve leaves behind to cherish his memories, his loving wife of 25 years, Maria Perez de Rios; two sons, Rogelio Rios and Francesca, and Esteban Rios; two daughters, Gloria Rios, and Angela Rios; two brothers, Roman Rios, and Luis Rios; and one sister, Martha Rios.